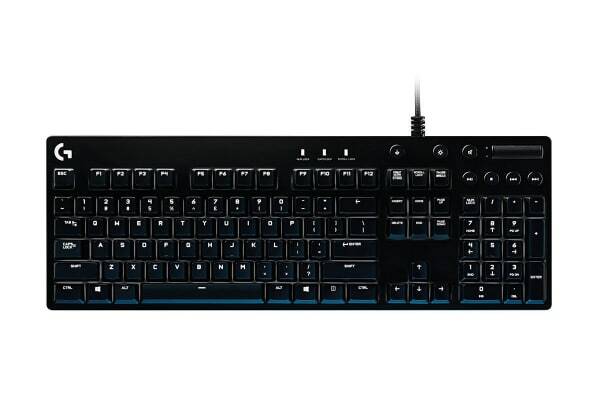 The Logitech G610 Orion Blue mechanical keyboard integrates powerful gaming technologies into a performance-driven design. 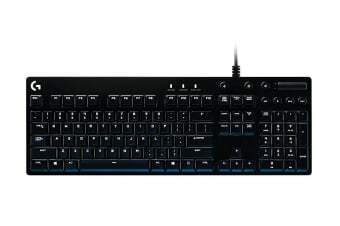 The expertly engineered Logitech G610 Mechanical Keyboard Orion Blue brings Logitech G’s industry-leading construction quality and technology to this uniquely crafted keyboard. Every detail has been masterfully designed—fingerprint-masking matte texture, durable braided cable, and powerful features. Cherry MX mechanical switches are standard in mechanical keyboards. More consistent in feel and responsiveness, they last longer than rubber dome keyboards. These low-noise switches have a linear keypress for rapid-fire actuation. Cherry MX switches are rated to over 50 million keystrokes and actuate precisely for a reliable gaming experience. Stay in your game while you control your background track. G610 Orion Red keyboards feature dedicated media controls that can be used to play, pause, and mute music and videos instantly. Skip to the next song with the touch of a button, or use the roller to adjust the volume. Execute every complex move exactly right, every time with multi-key input. With 26-key rollover, you can press a huge number of keys plus modifier keys (Control, Alt, Shift) in any order and still get exactly what you intended. Three step angle adjustments allow you to set your keyboard to 0, 4, or 8 degrees for the angle right for you. Rubber feet keep your keyboard stable during intense gaming action. 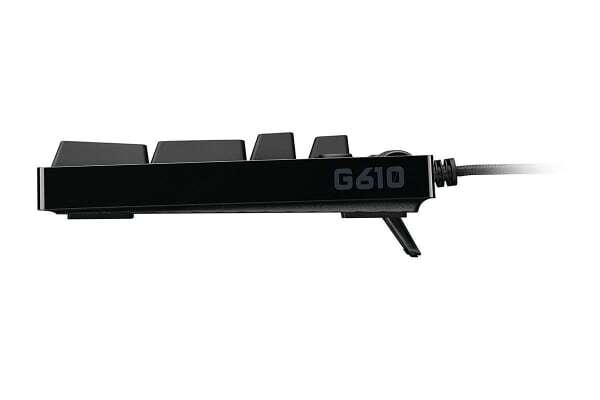 Gain full control of the G610 with Logitech Gaming Software. Assign custom button macros on F1 through F12 to customize your favorite game. You also get full control of per-key backlighting and can customize which keys are turned off when you turn on game mode (by default, Game Mode disables the Windows key).